Zucchini is a summer squash. Meaning zucchini harvested while immature. The rind is tender and edible. Botanically zucchini is a fruit. In the culinary world it's treated like a vegetable. It's harvested when it reaches 9 to 10 inches long, it loses taste if it grows longer than 9 to 10 inches. Zucchini was developed in Italy in 19 century near Milan. Their name comes for an Italian word, squash ("zucca"). The other name courgette comes from French for this vegetable. Zucchini came to North America in 1920s, may have been brought by Italian immigrants. Good chance is was first cultivation in California. People in USA, Canada and Australia call it the Italian name, Zucchini. In South Africa is called "baby marrow." Zucchini like the temperate climate and is easy to cultivate. Farmers try to control production by harvesting the flower, which can be sold at high cost, due to it's consider a delicatessen. They required a great number of bees for pollination. 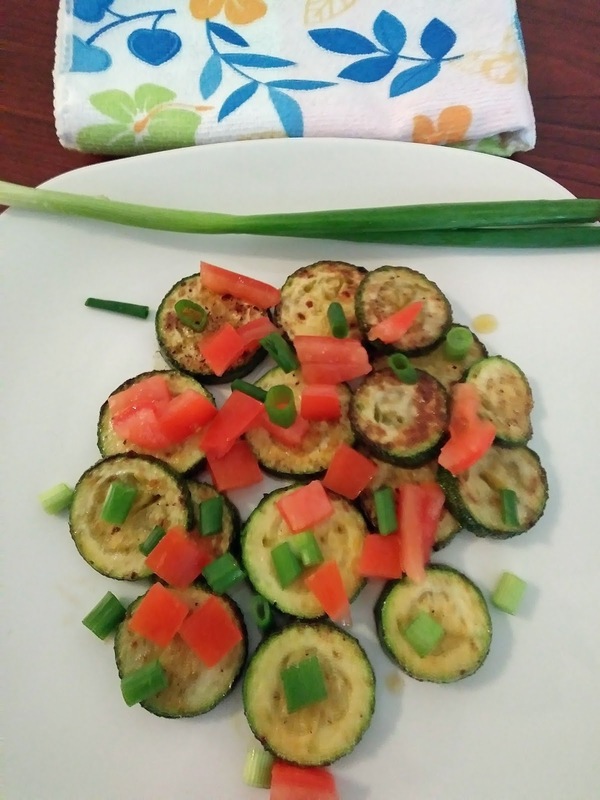 Zucchini very healthy, because they contain folate, vitamin A and potassium. As mention, they are harvested when very young for good taste. Zucchini can be eaten raw in salad, or grilling, frying, steam, boil and baking. Zucchini flowers are stuffed, battered and than deep fried. Tempura, Japanese dish. Mexicans like to use zucchini in soup. Quesadillas for a filling. Easy way to cook zucchini is slice it with skin on cooked in butter or olive oil with seasonings. In Bulgarian, they cook zucchini as a snack, serve with dip. Egyptians, cook zucchini in tomato sauce with onions and garlic. 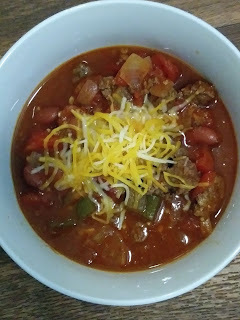 This easy chili is a family favorite. Your family will love this chili as much as my family loves it. Perfect for a big crowd. The last thing you want to do is stand over the stove and watch a pot of chili so it doesn't burn. Here's a delicious dish that's quick and easy. Love creating easy and delicious meals. Love the cajun sausage. I used a lot of garlic in this recipe, you can use less garlic, if desired. You may add additional veggies, keep it to quick cooking veggies. Great dish to serve over rice. 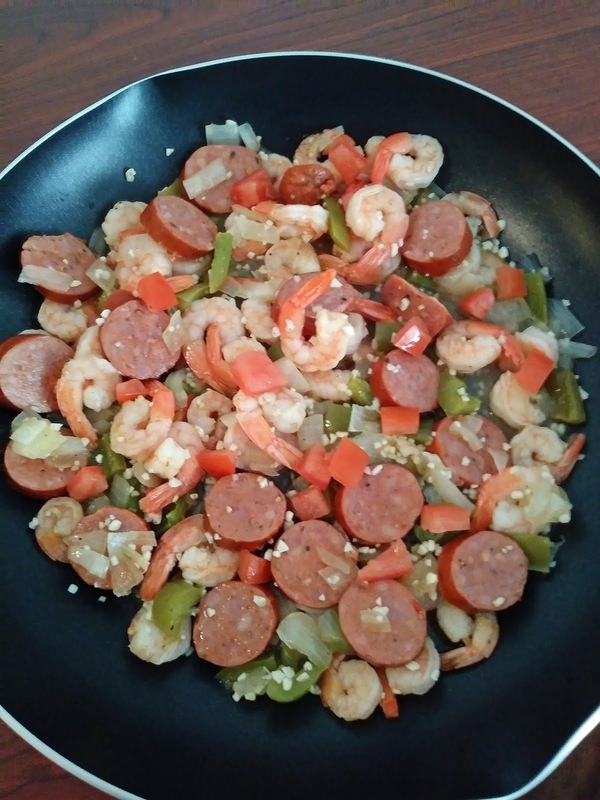 Shrimp and sausage go well together. You may use chicken or pork sausage. Perfect dinner for busy weekdays.